Wisconsin opened play in the 2K Classic benefiting Wounded Warrior Project with a 92-65 win over Siena in Madison. 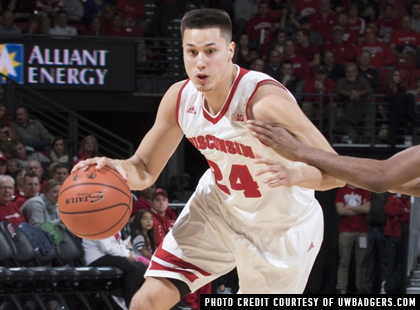 Bronson Koenig led the Badgers with 23 points on 8-of-14 shooting from the field, three three-pointers, and five rebounds. Vitto Brown posted 16 points and seven rebounds and Nigel Hayes scored 14 points. As a team, Wisconsin shot 31-of-53 (.585) from the field. Nico Clareth led Siena with 21 points. Marquis Wright netted 17 points and Lavin Long had 14 points and five rebounds. The final game prior to the Championship Rounds of the 2K Classic benefiting Wounded Warrior Project will take place Monday when VCU hosts Radford in a 7:00pm (ET) tip. The game can be seen on Comcast Mid-Atlantic.